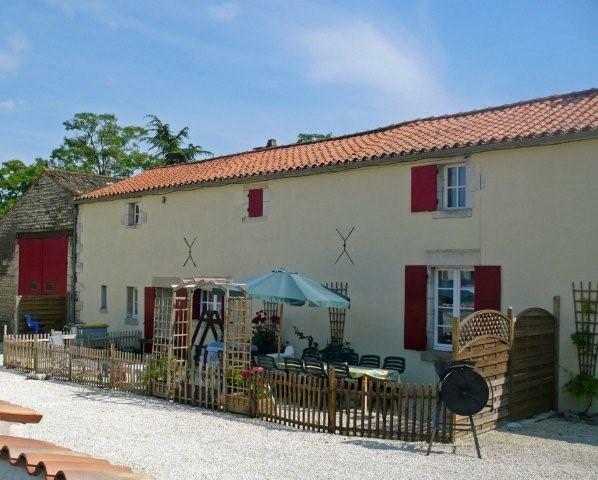 Set in a peaceful and tranquil location, La Grange comprises of 2 attractive farmhouses which have been converted to 5 spacious gites each with it's own fully equipped kitchen, garden furniture, bbq and large terrace. 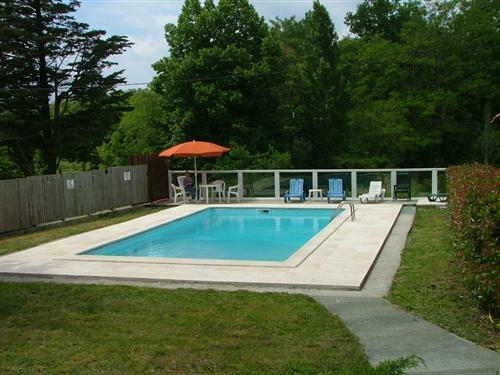 We have a selection of Vendee holiday homes on this website which are family friendly and offer such facilities as swimming pools which are fenced off for security or have security covers (as is required by French law), cots and highchairs available for the little ones, children's play area and/or games available including Table Tennis, snooker, pool, table football. 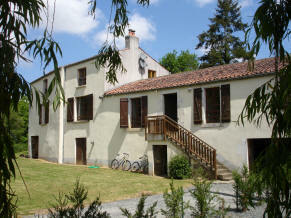 This all contributes to them being an ideal choice of self catering villa, farmhouse or gite. Fenced off swimming pools for security, stairgates for additional peace of mind, baby changing area, plastic cups and plates, night lite, potty, steriliser etc, all of which save lots of packing space in the car! This large traditional town house has 3 bedrooms (sleeps 6) and is situated just 1Km from the large village of Moncoutant, which offers all the local amenities. Located on Vendee border. 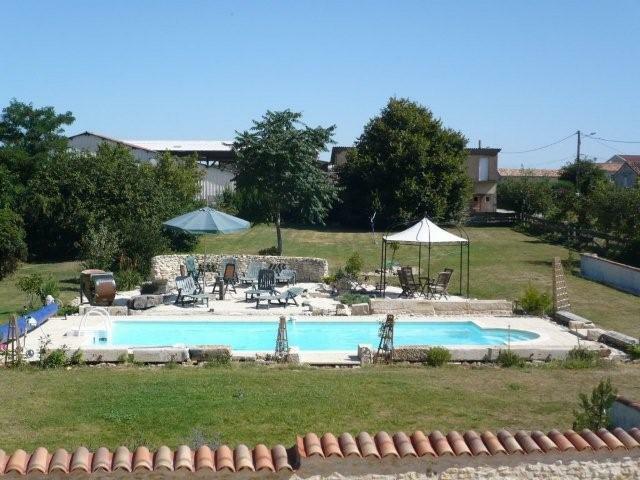 Idyllic,rural location in South Vendee; delightful, 2 bedroom property which sleeps 6; well furnished and equipped; set in an acre of private grounds, 10x5m PRIVATE HEATED POOL*, full size snooker and pool tables; nothing is shared. This innovative barn conversion, set within an unspoilt, secluded wooded area, provides modern bungalow convenience. 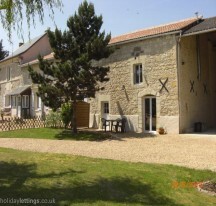 Refurbished for 2013 this beautiful 2 bedroom gite is situated just South of Saumur. Set in beautiful private gardens which are secure and very private, the gite has been completed to an excellent standard and offers many extras including Free WIFI, IPOD docking station, English satellite TV, safe for private belongings, Free use of cycles; two adult, two BMX, two 'kiddies' and a child seat, etc. The Mill & Wheelhouse is a converted Water Mill set in several acres of private land, located in the Vendée region of Western France. The Mill has seven bedrooms and can accommodate 16-18 people, the Wheelhouse has 4 bedrooms and can accommodate 12. 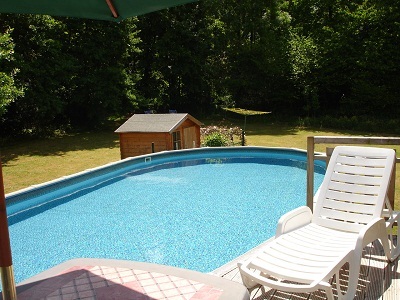 Each property has its own large private heated swimming pool, large private gardens, and a unique character.